In the shower with Psycho. Sam Raimi brings Zombie Roadkill to the web; Teen filmmaker enlists Machete talent for Twilight spoof; Australian horror film being presold one frame at a time. Weird stats and morbid facts. 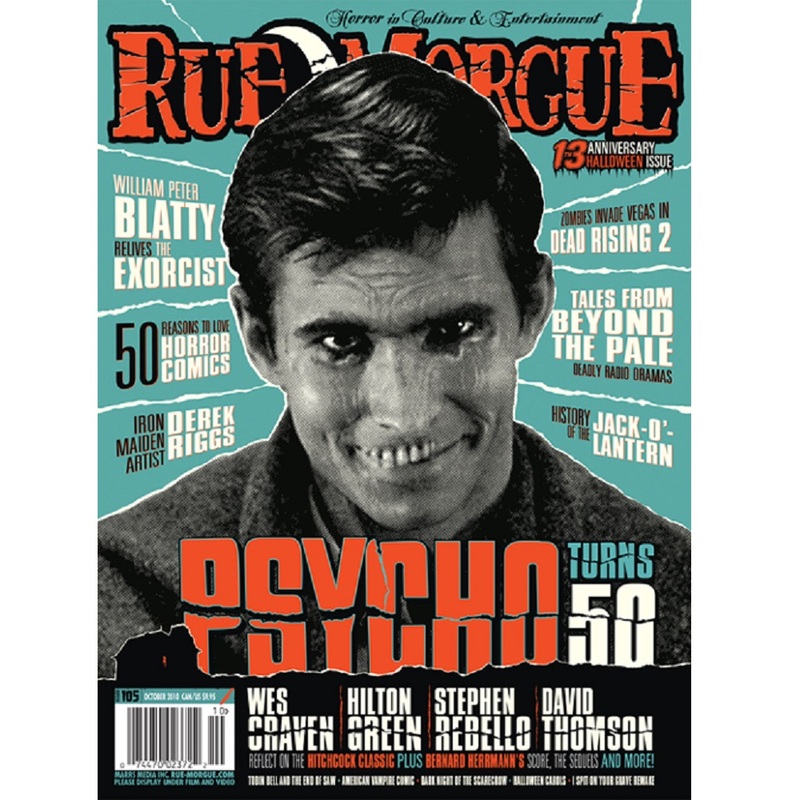 Sick Top Six: Psycho’s Most Scarring Scenes. Psycho House, Zombie Wrapping Paper, Blood Bath Shower Gel and Team Sleep Monsters. CineMacabre features a look back at the Saw franchise, Todd and the Book of Pure Evil and new documentary The Aurora Monsters – The Model Craze That Gripped the World, plus reviews of Piranha 3D, Night of the Demons, Buried, Sea of Dust, Dorian Gray, Dark and Stormy Night, The Lost Skeleton Returns Again, Ghost Hunters International, Squeal, The Disappearance of Alice Creed, Madeline’s Halloween and Other Spooky Tales, Parasomnia, Assault of the Sasquatch, The Bloody Rage of Bigfoot, Inbred Redneck Vampires, I Spit Chew on Your Grave and Terror at Blood Fart Lake. Blood on a Budget spotlights Legion of Terror and Cruel. And Reissues features Dark Night of the Scarecrow, plus reviews of Cannibal Girls (1973), Grindhouse (2007) Blu-ray, The Evil (1978) and Martin (1977) Blu-ray. Features American Vampire, plus reviews of Locke & Key: Keys to the Kingdom #1, A Very Zombie Summer, King #1, Ides of Blood #1, and Dracula: The Company of Monsters #1. Spotlight: Rob Sacchetto’s Zombiewood Weekly. Library of the Damned investigates the “zombie romance” of Hungry for Your Love. 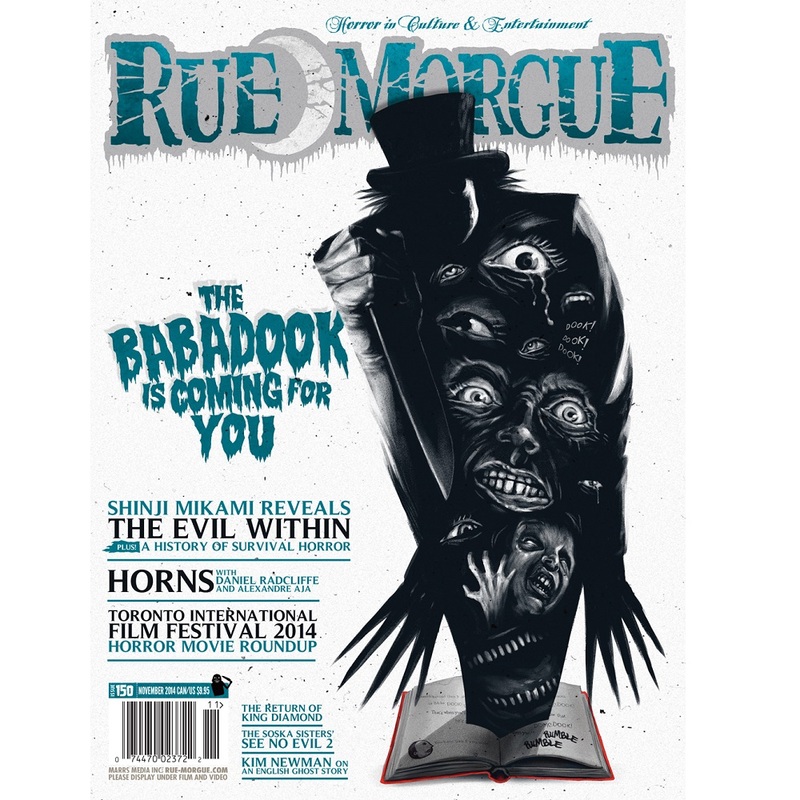 Plus, reviews of The Filmmaker’s Book of the Dead, He Is Legend: An Anthology Honoring Richard Matheson, Night of the Living Dead: Behind the Scenes of the Most Terrifying Zombie Movie Ever, Guillermo del Toro and Chuck Hogan’s The Fall, Haunted Legends, Jonathan Cape’s Haunted Air, R.L. Stine’s Goosebumps Horrorland: Weirdo Halloween and So Now You’re a Zombie: A Handbook for the Newly Undead. Featuring a round-up of horror games on Facebook, plus reviews of Clash of the Titans, Vampire Saga: Pandora’s Box and The Serial Killer Trivia Game. 15 new subscribers will win The Exorcist Extended Director’s Cut on Blu-ray, a Gore-met trucker’s hat and a Rue Morgue patch!